How do I eliminate rabbit cage odor? Gerbil cage odor? Hamster cage odor? You can safely eliminate unwanted rabbit cage odor with natural, fragrance and allergen toxic chemical free activated charcoal. Completely non-toxic and safe, INNOFRESH PET ODOR ABSORBER activated carbon filters are the best solution for unwanted pet odor. Rabbits can live from 7 – 10 or more years and require loving care, just as cats and dogs do. Pet rabbits are not low maintenance pets. They require specific dietary needs and must be handled with care. Each year, thousands of ex-Easter bunnies are abandoned to shelters or into the wild. The ASPCA suggests that if your family is set on a rabbit, start with a stuffed toy and a book on rabbit care. Wait until after the spring holidays to gauge continued interest, and then contact a local shelter and find out how to adopt a rabbit. Here is a series of great articles all about pet adoption. While on the topic of cute little animals, how about kittens, hamsters, ferrets, turtles, birds, and hermit crabs? Everyone loves these small pets, but they can be smelly. 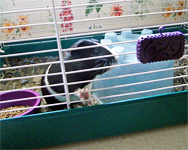 Is rabbit cage odor taking over your home? You don’t need to live with a pungent cat litter box or stinky odors from small animal cages such as rabbits, ferrets, turtles, birds and hermit crabs and reptile tanks. 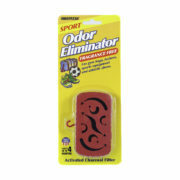 INNOFRESH PET ODOR ABSORBER are the eco-friendly choice for a safer, more convenient and effective way to eliminate musty odors and nasty smells from your pet areas. 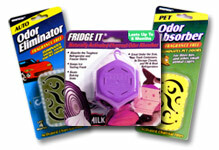 No more worry about toxic chemicals, irritating fragrances, gels, sprays or powders. 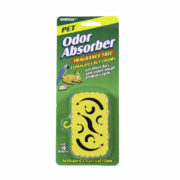 With INNOFRESH® PET ODOR ABSORBER, just clip on or place next to litter box, tanks or cages for long lasting and effective odor relief and clean fresh air. 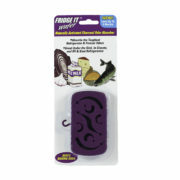 INNOFRESH® PET ODOR ABSORBER are a favorite with pet owners for controlling odors that are common with reptiles, turtles, hermit crabs, gerbils, mice, ferrets, hamsters, rabbits, birds cage odor and fish tank smells. 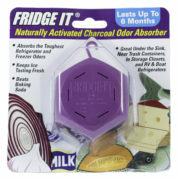 MORE ABOUT ACTIVATED CHARCOAL – Activated charcoal is a natural, safe way to eliminate the odor without covering up and just masking the unwanted smells. INNOFRESH® PET ODOR ABSORBER’s secret is our patented VAC technology – ventilated activated charcoal that utilizes a ventilated air flow design and powerful activated charcoal (carbon) filter that gives you the confidence and trust to safely and effectively control your pets odors. 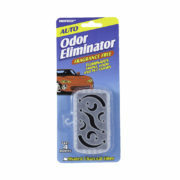 You can have clean, fresh smelling air, naturally, safely and without masking fragrances.